Garðabæ´s annual town festival "Jonsmessugleði" held around june 24th every year. Now held for the 5th time. Here artists show their work outdoors along the coast of Sjálandshverfi. 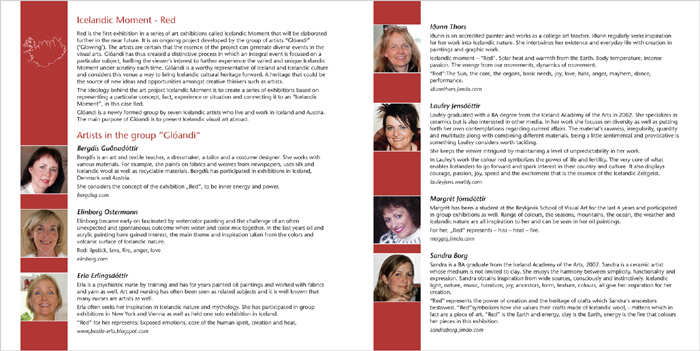 The exhibition only lasts for two hours from 20:00 to 22:00 next thursday june 27th. Number of scheduled events during the exhibition. Make sure you don´t miss this one. Í dag opnar sýningin "Undir berum himni" í Þingholtunum í Reykjavík. Á horni Óðinsgötu og Skólavörðustígs hef ég sett upp verk mitt "Af bergi brotinn". 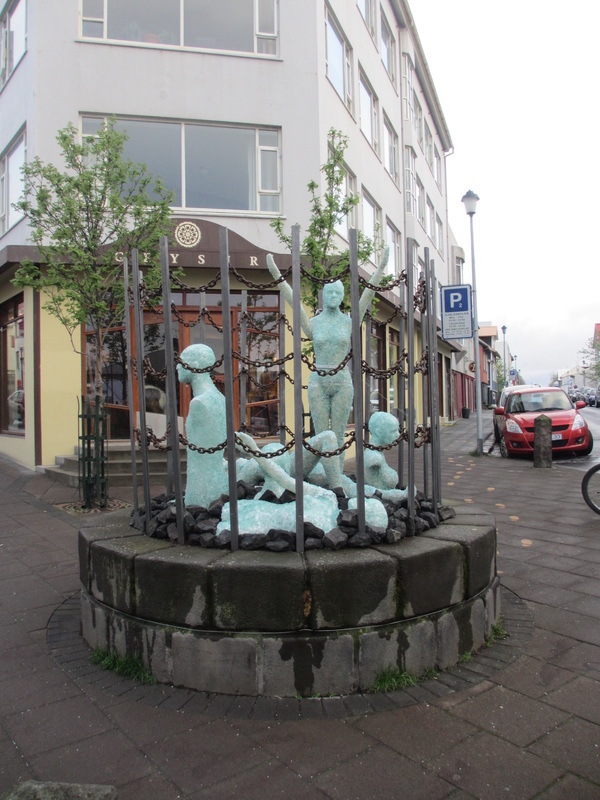 Opening today the exhibition "Under the open sky" in Þingholt area in Reykjavík. At the corner of Odinsgata and Skolavordustigur I have put up my installation "Broken-hearted"
ATH. Þótt verkið hafi verið fjarlægt í sýningarlok vill svo skemmtilega til að hægt er að skoða það í Google Maps Street View þar sem það stendur óhaggað. NB. Despite the fact that the installation was removed from it`s post at the end of the exhibition it can still be observed in Google Maps, Street View, where it still stands unchanged. Fimmtudaginn 30. maí verður haldin Menningaruppskeruhátíð í samkomuhúsinu á Garðaholti. Tímasetning verður auglýst síðar. Tilkynnt verður um val á bæjarlistamanni Garðabæjar árið 2013. Viðurkenningar afhentar fyrir úthlutun úr hvatningarsjóði ungra listamanna. Opið hús í Króki á Garðaholti - örmyndlistarsýning í hlöðunni við Krók. 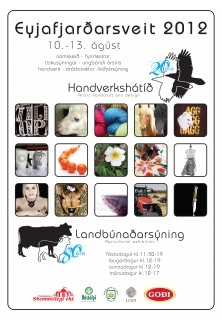 Cultural harvesting festival at Garðaholt. also be announced. Krókur will have an open house - micro-artexhibition will be held at the barn at Krókur. This is an exhibition of near 100 artists and will be open from May 25th until Reykjavik "cultural night"
Nú stendur yfir hin árlega sumarsýning Grósku í sal félagsins á Garðatorgi. Gróska's annuals summer exhibition is now open daily from 11-18 at our showroom in Garðatorg. Exhibition ends sunday april 28th. Nú er undirbúningur á lokastigi fyrir handverkshátíðina að Hrafnagili en þar verð ég dagana 10.-13. ágúst á bás númer 48. Reiknað er með miklum fjölda gesta á hátíðina þessa fjóra daga sem hún stendur yfir. Preparations is at final stage for the arctic handcraft and design Iceland, where I will be during 10-13th of august at stand nr. 48. Thousands of visitors are expected to attend these four days of exhibition. 16.06.2012 Er að setja upp sýninguna sem opnar á mánudaginn. Allt að verða tilbúið og hlakka mikið til. I am putting up the exhibition opening next monday. Almost done, I'm thrilled with exitement.